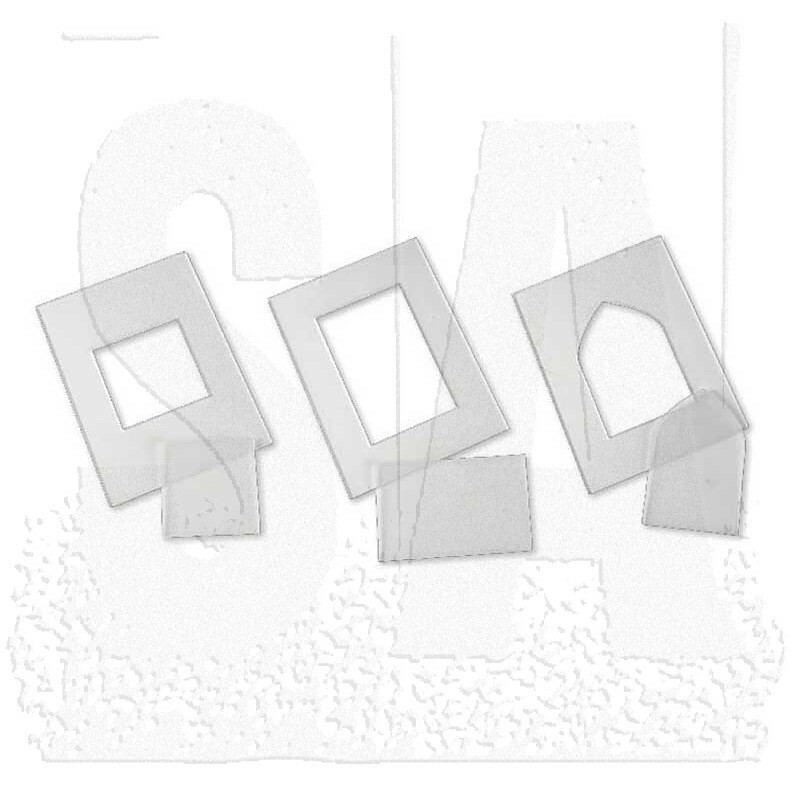 Constructed of high-quality ABS Plastic, this set of three see-through Embossing Diffuser templates and three insets allows you to add or remove texture. For use with either the BIGkick, Big Shot, Vagabond and Texture Boutique machines. 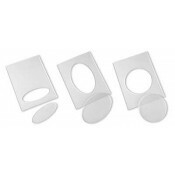 Each Embossing Diffuser measures 4 1/2" x 6" x 1/8" and lasts for thousands of impressions. 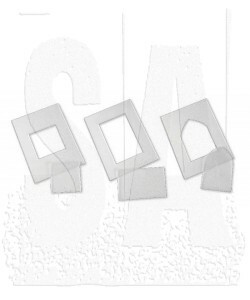 This set includes the following designs: arch with 2 1/2" x 3 3/4" opening/inset, rectangle with 2 1/2" x 4" opening/inset and the square with 2 1/2" x 2 1/2" opening/inset.